LESSONS LEARNED: Toyota completed its first full season of NASCAR NEXTEL Cup Series (NNCS) competition with the Camry in 2007. "I would probably give our first season a letter grade of a B-minus," says Jim Aust, vice president of motorsports, Toyota Motor Sales, U.S.A., Inc. "We're probably about 14 races behind where I thought we would be. We expected to run in the top-15 by mid-season, and we moved in on that at the end of the season. Overall, the consistency picked up, but we still have plenty of work to do in order to compete with the Hendrick, Childress and Roush teams." TOYOTA'S TEAMS IN 2007: Seven full-time Camrys were fielded by three teams in Toyota's inaugural season in NNCS. Bill Davis Racing (BDR) fielded the No. 22 Caterpillar Camry for Dave Blaney and the No. 36 360 OTC Camry driven by Jeremy Mayfield, Mike Skinner and Johnny Benson. BDR also fielded the No. 27 Unicef Camry for Jacques Villeneuve in two races. Michael Waltrip Ra cing (MWR) fielded three NNCS cars including the No. 00 Domino's/Burger King Camry for rookie David Reutimann, the No. 44 UPS Camry for Dale Jarrett, and Waltrip drove the No. 55 NAPA Camry. Team Red Bull fielded two Camrys throughout the season -- the No. 83 Red Bull Camry for Brian Vickers and the No. 84 Red Bull Camry for AJ Allmendinger. CUP OF CAMRY STATS: During its first season of NNCS competition, Camrys earned two poles -- Blaney at New Hampshire (June) and Waltrip at Talladega (Oct.). Camry drivers also earned two top-five finishes -- Blaney was third at Talladega (Oct.) and Vickers finished fifth at Charlotte (May). In addition, Camry racers earned 11 top-10 finishes in 2007. Camry drivers led a total of 163 laps across 15 races in NNCS events this season. Vickers led the most laps of the Camry contingent with 106 laps led over seven races (Atlanta, Bristol, Texas, Charlotte, Michigan, California and Talladega-2). 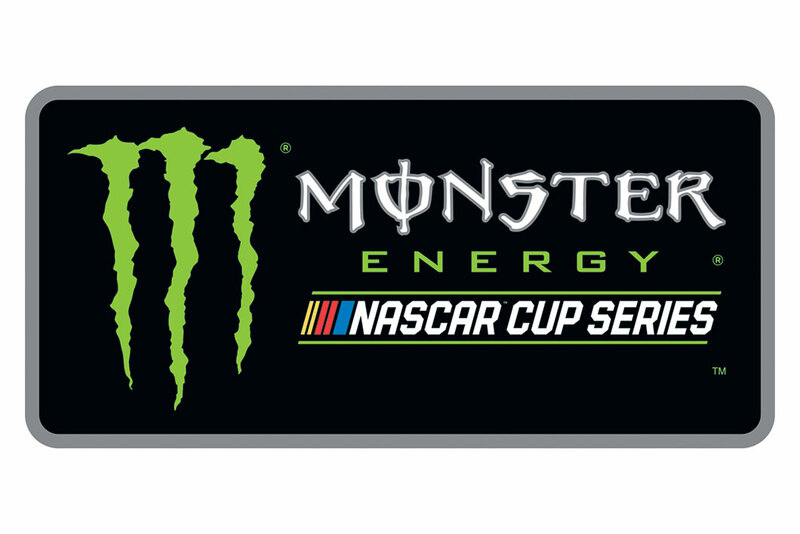 TWO WILL BE NEW: Joe Gibbs Racing (JGR) and Hall of Fame Racing (HOFR) will join Toyota's 2008 NASCAR Sprint Cup Series roster with a combined four additional Camrys. JGR will field three Camrys -- the No. 11 FedEx Camry for Denny Hamlin, the No. 18 M&M's Camry for Kyle Busch and the No. 20 Home Depot Camry for Tony Stewart. HOFR will field the No. 96 DLP HDTV Camry driven by J.J. Yeley. OPTIMISM-A-PLENTY: The addition of Joe Gibbs Racing to the Toyota roster in 2008 adds a certain amount of optimism for next year as the focus turns to next season's opener at Daytona. "I think our teams are setting themselves up for success next season," says Aust. 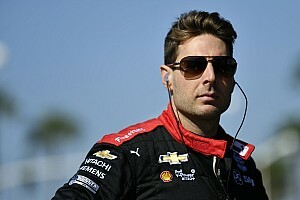 "I don't think there is any question that we will get some wins next year and hopefully the first will come at Daytona. When we looked at our program we thought that by year three we would be in contention for a championship -- and that was before the addition of Joe Gibbs Racing. That's going to be moved ahead by a year now with the addition of that team." MOTIVATED MICHAEL: "We built a solid foundation in 2007," says Waltrip, owner of Michael Waltrip Racing. "I'm very happy with how we did off the track, but I'm disappointed with how we did on the track. I know we'll get better next year because I know Toyota has been learning and growing along with us. At the end of this year, they were real comfortable with their engines and with the support of their teams. I'm very optimistic about 2008 -- we know where we are and we know where we've been. We're working our rear ends off and we have a plan for next season." TOYOTA TEAMWORK: "One of the philosophies that we have tried to embrace -- dating back to the start of our NASCAR Craftsman Truck Series (NCTS) program in 2004 -- is to get all the teams to work together as best as possible," says Aust. "You're much stronger by sharing information and working as one, as opposed to working as individual organizations. It's not easy because everyone is a competitor. The Gibbs organization has come on board with the outlook that they are willing to share information and work with the other teams. As we see that unfold throughout the year, I think we'll see our entire group become stronger. If we can accomplish that, I think we'll have a very successful 2008." CAMRY COMMUNICATION: "There have been meetings on projects we can share with JGR and things we can do to help the learning curve," says Waltrip. "We have a lot of respect for that organization -- they've been around a long time and been in contention for and won championships. We really look forward to being able to work with them on projects as we head into 2008." END OF AN ERA: Jarrett completed his final full season of Cup Series competition when the checkered flag dropped in the season finale at Homestead-Miami Speedway. After 25 years of NASCAR racing, Jarrett will make his final start in the All-Star race at Lowe's Motor Speedway in May of 2008. Jarrett will run the first five races of 2008 in the No. 44 UPS Camry before turning over the steering wheel to his teammate Reutimann for the rest of the season. The 1999 Cup Series champion has recorded 32 Cup wins, 16 Cup poles and 11 Busch wins during his career. BLANEY'S BATTLE: Blaney's No. 22 Camry finished 34th in NNCS owner points with his 12th-place finish at Homestead-Miami Speedway. He will be locked into the field for the first five races of the 2008 season, including the 50th running of the Daytona 500 in February. "It's huge," says Blaney, of securing a position in the top -35. "We get a head start on those first five races. This year we had DNFs (did not finish) in the first three, so that really put us behind . Now, we're in so we have to take advantage of it." MOVING FORWARD IN CUP: Camrys will begin testing for the 2008 NASCAR Sprint Cup Series at Daytona International Speedway in January. The first round of testing will take place January 7 - 9 with odd-numbered cars in the owner points following the 2007 Chicagoland Speedway race, while the second round of testing will take place from January 14 - 16 with even-numbered cars in the owner points. Camrys scheduled to attend the first round of testing are Nos. 18, 96, 00, 36 and 84. Camrys scheduled to attend the second round of testing include Nos. 11, 20, 22, 83, 44 and 55. BUSCH BUSINESS: Over the course of 35 NASCAR Busch Series (NBS) races in 2007, Camry drivers made 124 starts. Two NBS teams fielded three Camrys in full-time competition -- Braun Racing (Nos. 10 and 38) and Michael Waltrip Racing (No. 99). Jason Leffler made 35 starts for Braun Racing while Reutimann had 35 starts for Michael Waltrip Racing. In the final NBS championship point standings, Reutimann finished second and Leffler was third. Blaney and Vickers also took turns running for Braun Racing, with 23 and seven starts, respectively. SEAT TIME COUNTS: Several other drivers sat behind the wheel of a Camry during the 2007 NBS season. Todd Bodine made six starts -- five with Germain Racing and one with Braun Racing. Bobby Santos had four starts for Riley-D'Hondt Motorsports with Bill Davis Racing and David Green, the 1994 NBS champion, made three starts for Riley-D'Hondt Motorsports. Michael McDowell made three starts for Michael Waltrip Racing, while John Graham and Brent Sherman each made two starts for Braun Racing. Drivers who made one start for Braun Racing include Michael Waltrip, Mike Bliss and John Andretti, while Dale Jarrett made one start for Michael Waltrip Racing. WINS AND POLES: Camry drivers secured two victories during Toyota's inaugural season in NBS competition. Leffler secured the first win for a Camry when he visited victory lane at O'Reilly Raceway Park (ORP) at Indianapolis (July). Reutimann captured his first career NBS race win, and the second for the Camry, at Memphis (Oct.). Four poles were earned this season -- Blaney was the fastest qualifier at California (Feb.), Leffler captured the top starting spot at Daytona (July) and at Bristol (Aug.), and Reutimann started from the top spot at Texas (Nov.). LEADING THE WAY: Five Camry drivers notched a total of 576 laps led across 15 NBS races this past season. Reutimann (Nashville, Talladega, St. Louis, Bristol and Memphis) led the most among the Camry contingent with 287 laps. Leffler (Daytona, Nashville, Darlington, Indianapolis and Bristol) led a total of 141 laps. Vickers led 87 laps (Michigan, California and Kansas) while Blaney (California, Atlanta, Nashville and Homestead) led 46 laps. Todd Bodine (St. Louis) was in front of the field for 15 laps. NATIONWIDE IN 2008: When the series returns to action at Daytona International Speedway in 2008, six full-time Camrys will compete in the NASCAR Nationwide Series (NNS). Reutimann will contend for the driver's championship for Michael Waltrip Racing (No. 99) and Leffler will contend for the championship in a Braun Racing entry (No. 38). Braun Racing will field a second car (No. 32) again in 2008 with a handful of Cup drivers behind the steering wheel. Joe Gibbs Racing will have two Nationwide Camrys (No. 18 and 20) which will be co-piloted by Stewart, Busch and Hamlin as well as the 2007 Toyota All-Star Showdown winner Joey Logano. In addition, Germain Racing will field one Camry (No. 7) with Mike Wallace behind the wheel. BACK-TO-BACK TITLES: Toyota successfully defended its NASCAR Craftsman Truck Series (NCTS) manufacturer's championship in 2007. Tundra drivers scored 13 wins and 17 poles in 25 races this past season. Since joining the series at the beginning of the 2004 season, 10 teams and 39 drivers have combined to make 846 starts for Toyota. Tundra drivers have posted 38 wins and captured 49 poles in 100 races. TUNDRAS IN 2007: Nine full-time Tundras were campaigned during the 2007 NCTS season with a 24 drivers contributing to a total of 234 starts. Drivers with 25 starts include Benson and Skinner for BDR, Bodine for Germain Racing, Terry Cook for HT Motorsports and Jack Sprague for Wyler Racing. BDR also campaigned trucks for Ryan Mathews (12 starts), Villeneuve (six starts), Tyler Walker (six starts), Justin Labonte (two starts) and Donny Lia (two starts in 2007, one for BDR and one for HT Motorsports). Other Germain Racing drivers include Ted Musgrave (24 starts), Justin Marks (four starts) and Brad Keselowski (one start). Red Horse Racing split the 2007 season among Aaron Fike (12 starts), Green (seven starts), Leffler (five starts) and Brandon Whitt (one start). The No. 00 Tundra was fielded by Darrell Waltrip Motorsports at the beginning of the season with Allmendinger (12 starts), Josh Wise (nine starts) and Ken Butler (two starts), then The Racers Group acquired the team placing Andy Lally in the final three races of the season. YEAR TO REMEMBER: Mike Skinner led the Tundra contingent in 2007, scoring a series-high five victories and capturing a series record 11 poles, ultimately finishing second in the championship. Skinner won three-straight races early in the season (California, Atlanta and Martinsville) before wins at Kentucky and the second trip to Martinsville later in the year. The 11 poles broke Skinner's own record of 10, which he set in his 1995 championship season. WINS AND POLES: In addition to Skinner's five wins, Benson (Milwaukee, Bristol, St. Louis and Homestead), Bodine (Texas and Talladega), Musgrave (Texas-2) and Sprague (Daytona) all visited Victory Lane in Tundras. Skinner had a series record 11 poles (Atlanta, Martinsville, Kansas, Charlotte, Mansfield, Dover, Milwaukee, Nashville, St. Louis, Texas-2 and Phoenix), while Bodine (Texas and Talladega), Sprague (Daytona and Martinsville-2), Keselowski (Memphis) and Mathews (Kentucky) each put the Tundra on the pole during the 2007 season. MORE MIKE: Despite falling short to Ron Hornaday for the driver's championship, Skinner had one of the most dominating seasons in NCTS history. The Bill Davis Racing driver led at least one lap in 24 of 25 races for a total of 1,105 laps (both series records). In the season finale at Homestead-Miami Speedway, Skinner made his 100th start in a Tundra, the only driver to start every race for Toyota since the manufacturer joined the series in 2004. VOTE BENSON IN 2008: On the strength of four victories  including the season-finale at Homestead  Benson overcame early season struggles to finish third in the final championship point standings. "I think our season was pretty good," says the driver of the No. 23 Bill Davis Racing Tundra. "We ran into a couple of issues throughout the season that kept us out of the championship, but my crew chief Trip Bruce and the guys worked hard all year and I'm proud of that. We were able to get four victories, including the season-finale in Miami, and that gives us real good momentum heading into 2008, where we plan to contend for the title." STARR POWER: Red Horse Racing recently announced that driver David Starr will return to the team in 2008 to pilot the No. 1 Tundra. Starr drove for the team in 2006, scoring one victory (Martinsville), six top-fives and 12 top-10 finishes. MCGILTON JOINS BDR: Phillip McGilton was recently announced as a third full-time driver for BDR in the NCTS in 2008, joining a team that combined for nine wins and 12 poles this past season. McGilton recorded eight top-10 finishes in the ARCA RE/MAX Series in 2007, and will join Skinner and Benson in the BDR stable in 2008.